In Nucleonica’s e-Learning center (e-Learn app), a series of nuclear security exercises has been released for all Nucleonica users. 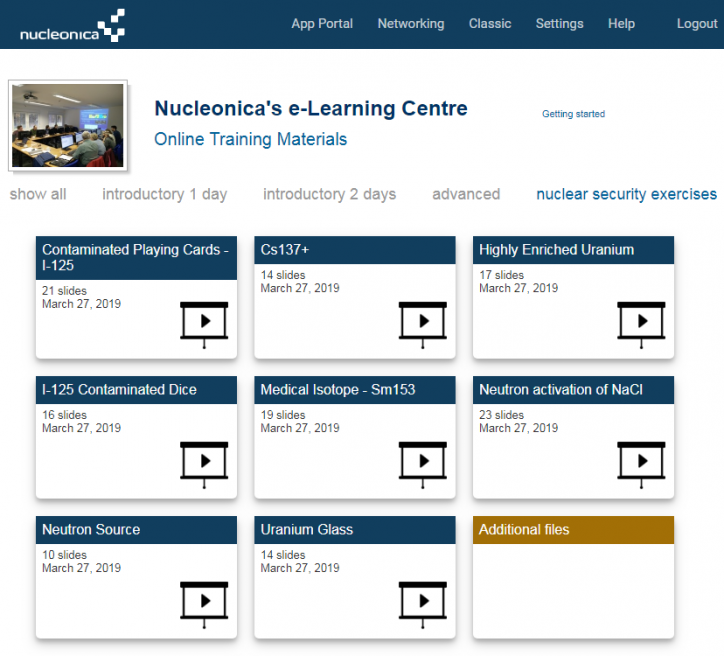 Nucleonica’s e-Learning Centre showing the nuclear security exercises. These exercises have been developed jointly with Dr. Emily Alice Kröger from the Federal Office for Radiation Protection (Bundesamt für Strahlenschutz) and the Nucleonica Team. The exercises were developed for use in BfS training courses on Nucleonica held on a regular basis. Because of the general interest in these presentations, we have released them for general use by Nucleonica users. WebKORIGEN is a Nucleonica application for the simulation of the time evolution of a nuclide inventory in power reactors. 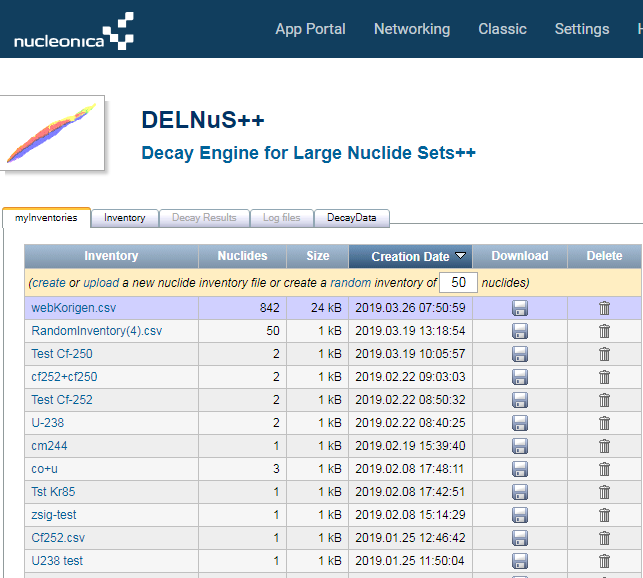 A related application, DELNuS (Decay Engine for Large Nuclide Sets), allows the user to make decay calculations for a large number of nuclides (typically present in a reactor). – it is now possible to make Ra226 irradations in the flux mode. 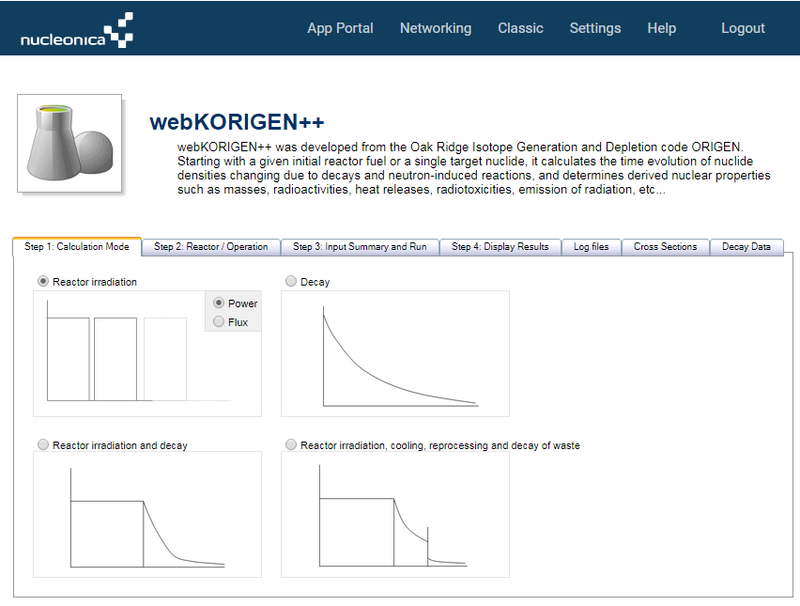 – new tabs show the cross section data (also burnup dependent ) and decay data used in the calculations for the various reactor types. – a problem with using mixtures in DELNuS has been resolved. 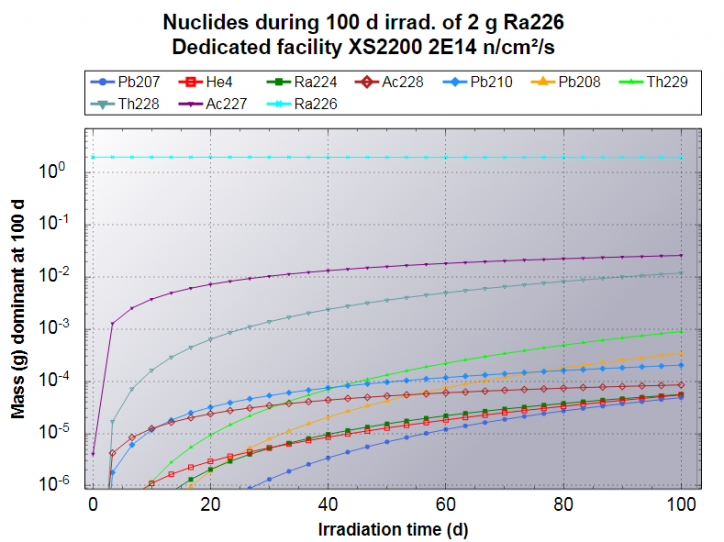 Dear Nucleonica Team, if I let Ra-226 irradiate in a certain flux for a certain time, why I do not get nuclides with mass numbers higher than 226? Results are shown below for an irradiation of Ra-226 (2g) in a dedicated facility with a thermal neutron flux of 2e14 neutrons per cm2 per s for a period of 100 days.